If you want to talk about a story book ending, keep track of Mike Lindsey’s career and you’ll see it right before your eyes. The 6’1 Tampa Bay Storm WR/KR, from Saint Petersburg, FL is setting records, being an active role model in the community, and setting goals one day at a time. 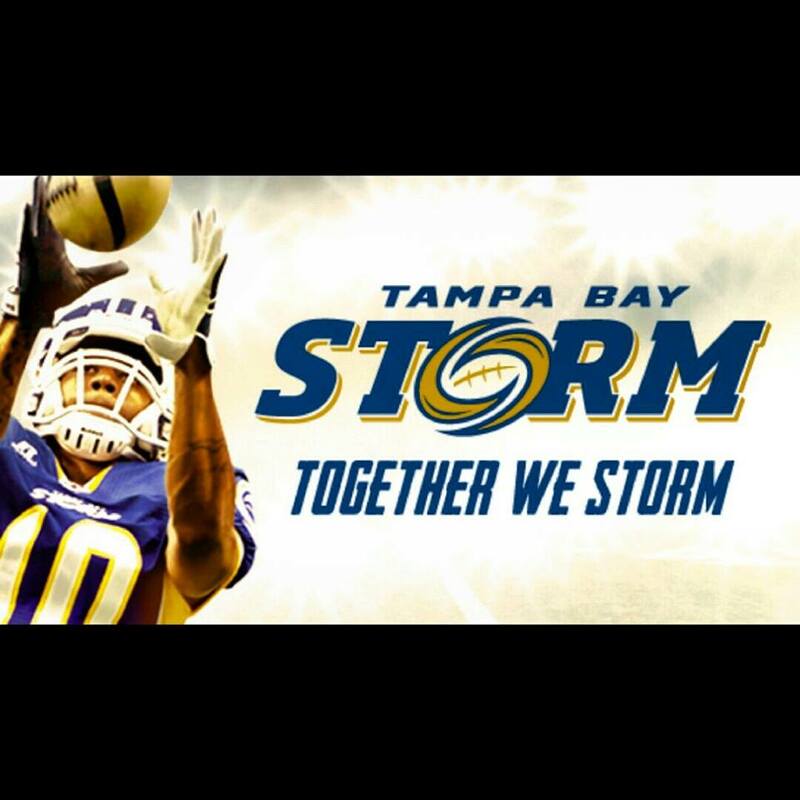 If you go to a Tampa Bay Storm home game you’ll see numerous fans throwing up the “L” shape with their hands. 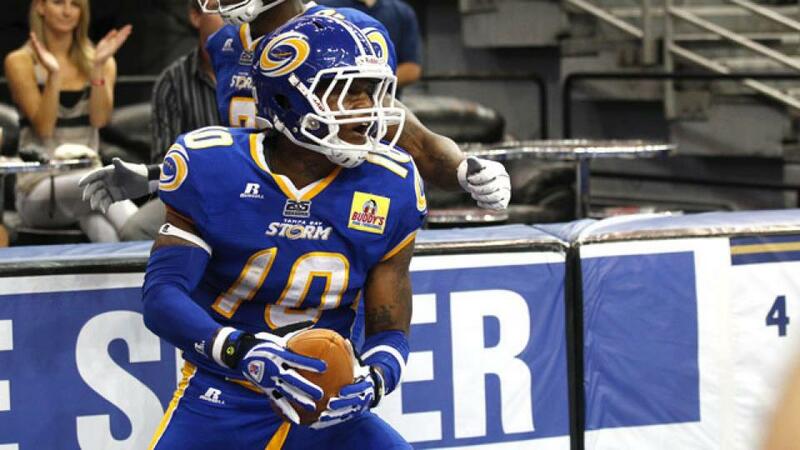 His nickname is LAMBO, and to find out why is going to cost you a couple minutes of reading…..
What does it mean to you, to be the Tampa Bay Storm All-time kick returner? To hold that record now means more than I can put into words. It’s an honor! Favorite city to visit when the team is on the road? My favorite city to visit while on the road with the team would be Philly, of course because of the Famous Philly Cheesesteaks, but also because its home to the stairs Rocky ran. Where did the nickname LAMBO come from? The nick name “LAMBO” came from my speed and it also stands for “Let’s Always Make Better Opportunities and the Lambo (non-profit) foundation. What kind of community events do you host/partake in? I took part in a celebrity basketball game that the Lambo foundation hosted. I had the pleasure of being one of the speakers during “The Great American Teach-inn” at a local Elementary and my old High school. It was my biggest pleasure to show up for the kids at the Operation PAR Inc, Academy for Behavioral Change to lend a sound word of advice and encouragement. I continue to look for ways to make a difference. On September 14th, Derrick Brooks will be inducted into the Tampa Bay Buccaneers Ring of Honor and his number, 55, will be retired. Serving as President of the Storm, what kind of impact has he had on yourself and the rest of the community? Derrick Brooks has inspired me in many ways, but most of all his role in the community. The love and dedication he puts into giving back encourages me to do the same. As far as being a professional goes, he inspires to work hard and be a LEGEND! The watch, I haven’t worn at all yet. 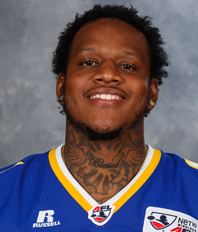 Is playing in the NFL the next goal? Absolutely! I’m a Goal Go Getter! 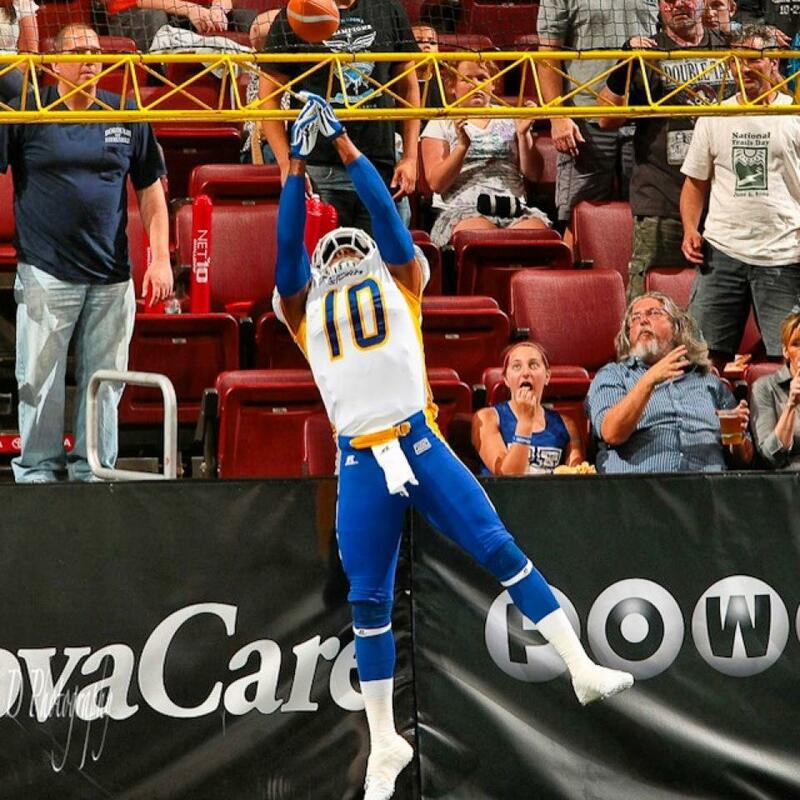 What is the best way to describe an Arena Football game? 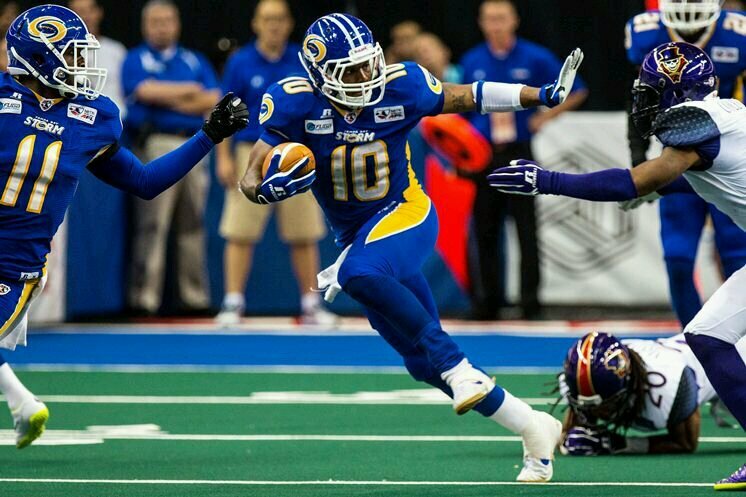 The best way to describe an Arena Football game is live, hard hitting and fast pace. When did you sign your first ever autograph? In your mind, do you have the type of story to be able to make a documentary? Hands down! I have beat the odds, my life is a documentary. I’m the only one from my home town to do what I’ve done. One message to aspiring young athletes? To all the young athletes, no matter how hard life may seem, no matter how challenging your goal may be and no matter what people may say or think. Always remember these three words, NEVER GIVE UP! If you’re not playing football, what would a typical day be for you? Wake up, say a prayer, play my music, brush my teeth and enjoy my family. Workout routine in the season and offseason? Weight lifting during the season. Off season is cardio, lots of running, speed and agility. What are a few tracks on LAMBO’s top playlist?